Tylium is the main fuel source for ships on Battlestar Galactica. Despite labor disputes and poor working conditions during the mining process, Tylium keeps those beat-up and overcrowded ships moving forward, wandering the galaxy trying to get home. 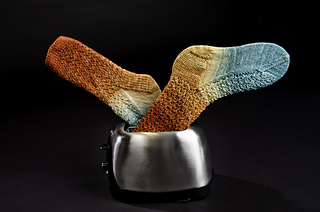 The Tylium powers the ships and keeps everyone cozy, just like these socks. 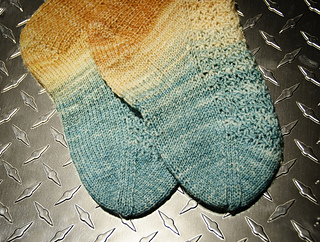 Yarn discontinued, suggest the periwinkle sheep gradients as a substitute.